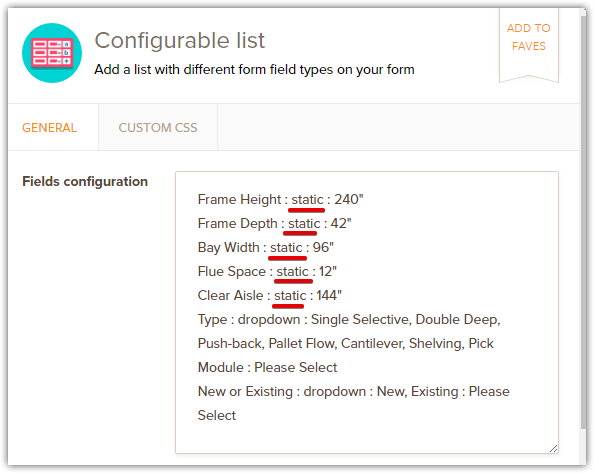 I'm using the configurable list widget in my form. I've had a request from submitters to turn the hint values into default values. Is there a way to do this? If I understand you correctly, you would like the Hint Text to become the Default value in your Configurable List widget. If yes, then it is possible by using the "static" parameter. 1. Select the widget and then click the wand icon. 2. Replace the value "text" and use "static" instead. It kind of does- thank you for getting back to me. But I still need to them to be able to change the values if they’re something other than the default. Does that make sense? 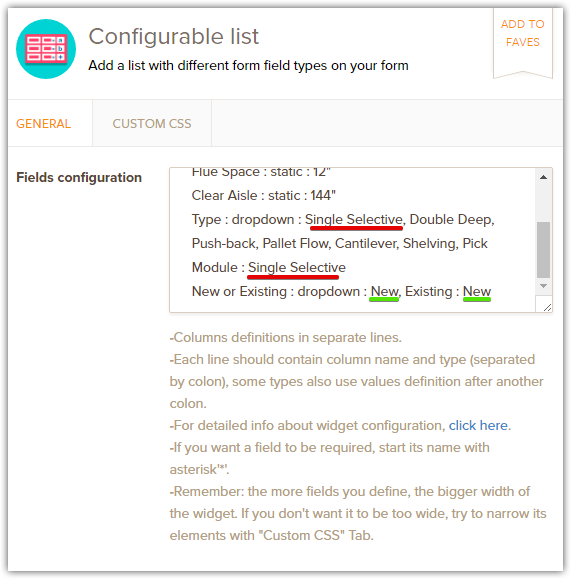 Unfortunately, the Configurable list widget does not have an option to specify 'default values' for the Text field types. We have forwarded a feature request ticket to our developers to see if this can be implemented at some point. There is no ETA for when it can be implemented, but we will let you know if we have any updates.